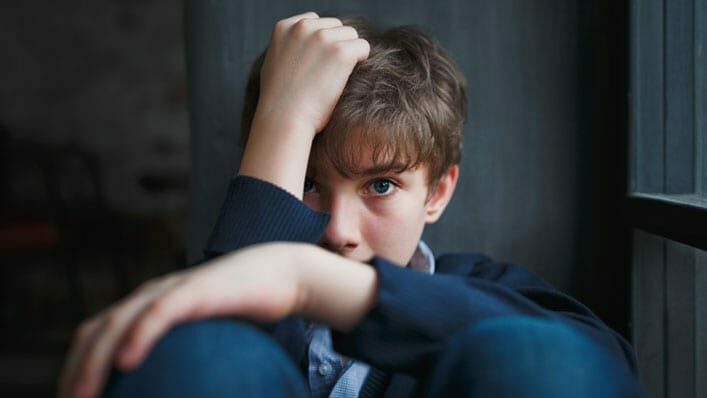 Teen suicide has been on the rise in recent years and sadly, TWEEN suicide( offsprings ages 10 -1 4) has doubled since 2009. For much of this, social media has been accused: specifically, since frequencies have risen so aggressively( doubling in the 10 -1 4 age group) since the arrival of the smartphone. Cyberbullyingand the pressure to have a picture-perfect life for social media has led numerous young person to have mental health problems that lead to teen suicide. But after a high school sophomore from Corona Del Mar High School in California took his life, a principal from a neighboring high school, Newport Harbor High, felt the need to speak out to the parent education his students, in a frantic plea to save lives. … there remains valid, heartfelt concern for this tragic occurrence, specifically from notes that the deceased student left , notes which shaped mention of the pressures of school and grown up in Newport-Mesa. A heap to ponder, and numerous speeches and changes ahead but how did we get here? Our teachers and District have simply created and maintained a structure that local communities/ country has demanded from us over the past 20 years since college admissions mania went into hyper drive, since vocational training programs were dismantled , and since giving “A’s” in AP categorizes grew the norm . Our teachers feel the pressure, organisation and counseling feel the pressure, and now mothers/ students are actually feeling the pressures . When we grew up nobody asked us what our GPA was, and it was “cool” to work on the roof of a house. This competitive culture has significantly impacted our young adults. We endlessly discuss exam tallies, National Merit Scholarships, speaking tallies, AP intellectuals, comparings to other academy Territories and this is when we start losing our collective souls-and their own children. We often shield our students from collapse. We think that earning a “C” grade in a class is a the end of the world, and we don’t grant our students to advocate for themselves. We have also devalued a military occupation, a plumbing or welding chore, and we are a little embarrassed if our children wish to attend vocational training schools instead of a major university. We say hooray for those students who enter the armed forces, who want to work with their hands, who don’t want to be weighed down with the burden of being perfect in high school, and who deserve a “C” in a tough class and are proud of themselves . ALL of us as a community is therefore necessary to get to this level if we want to avoid our students feeling shamed, segregated, or worthless. We had a waiting list this year for culinary at NHHS and creation engineering at Estancia-this is a telling statistic. We consistently have students lost in our administrative/ advise bureaux, and in classrooms whom we tell, “College is not for everyone, but look at what you can do.” We invite military recruiters to our campuses so they can work with students on valued and significant vocations in the armed forces. Delight know there is so much behind the scenes we do to diffuse such an environment, but we can not do it alone anymore . We must reach the spot where, if our sons and daughters don’t live a perfect young adult suffer, it is not the end of the world…it is simply an opportunity to removing the sails and head in a different direction . We need to start now .